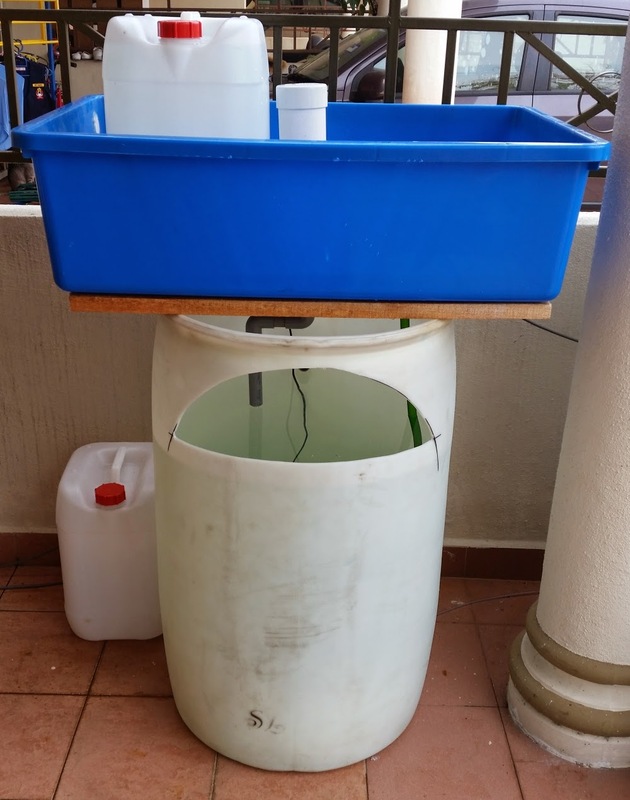 Affnan's Aquaponics: Three Barrel CRAFTS update after a month. It's been slightly more that a month since I made the Barrel CRAFTS set and this is an update of it. I just use cheap starter fish, well mostly gold fish to get the ammonia and nitrate build up. So far everything holding fine, the 20 mm StrainerBell Siphon works great never miss a beat, one problem I had is the barrel on right is slightly lower then the feeder tank. 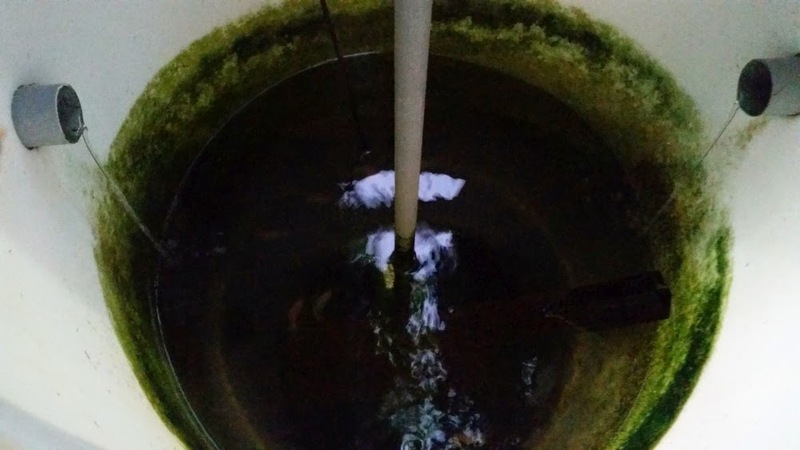 Maybe due to the uneven surface of my compound causing slower water flow from this tank to the feeder in center. Another problem is those half moon, I wish I had made it wider and shallower like the one below that I made recently for a single barrel set. But it is a small problem that I can later rectify if needed. 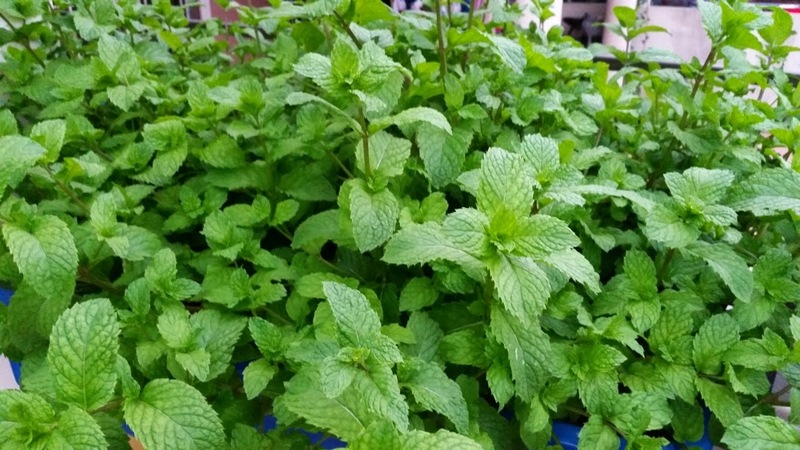 I mostly plant "Buffer Plants" like this mint to get the system mature with those cheap gold fish. This mint will be here for roughly three months until system reaches medium maturity then I can do more elaborate vegetables. My intent is to experiment with Lowland Strawberries, if there is such a thing as that.. but let see if I succeed with it. Another favorite is this Chinese Chive or Garlic Chives, transplanted these from the set at the back about 2 weeks ago and they are slowly recovering. Yellowing leave sign of iron deficiency and I need to address that. 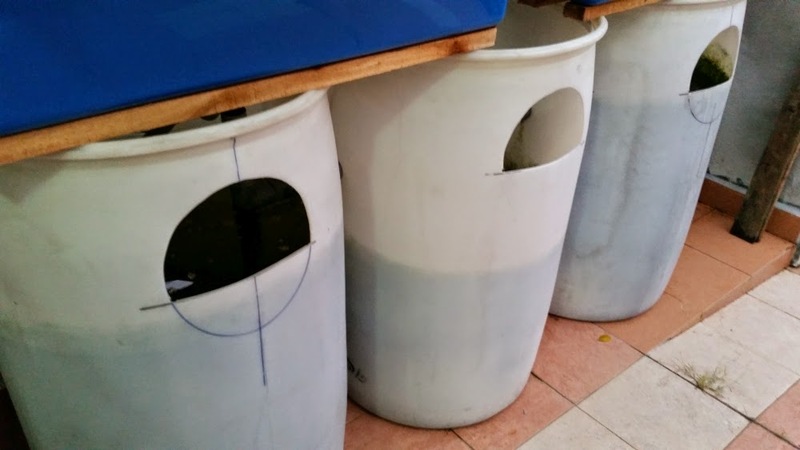 This 3 Barrel CRAFTS set I will experiment with supplements, like natural base fertilizer. A lot of question asked about supplements, I can't really answer since all this while I never use any. I need to try for a change and see what effect it has on fish. I'm not in favor of chemical fertilizer fearing it could affect fish in the tank below. Slowly does it, and it will be okay. 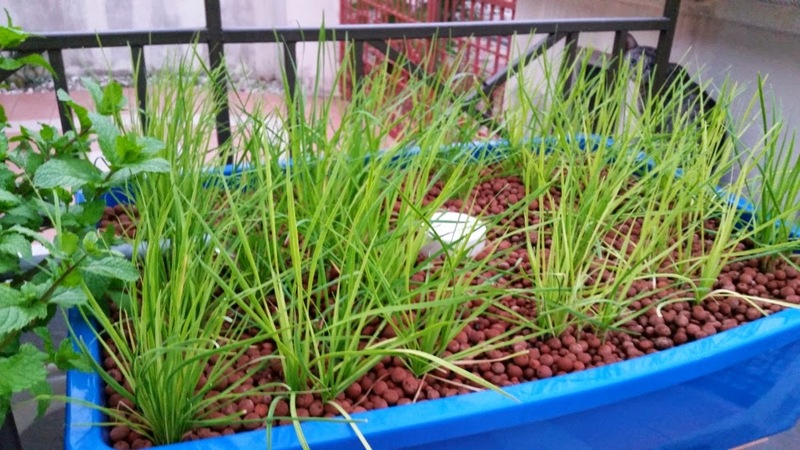 The mistakes that most people do in aquaponics is that they want everything to be fast. 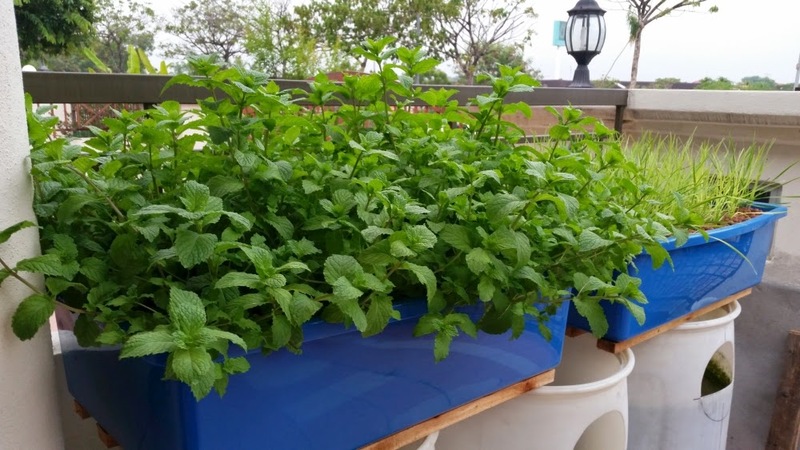 They will want plants and vegetables to be instantly growing, well it is not the case as in aquaponics. 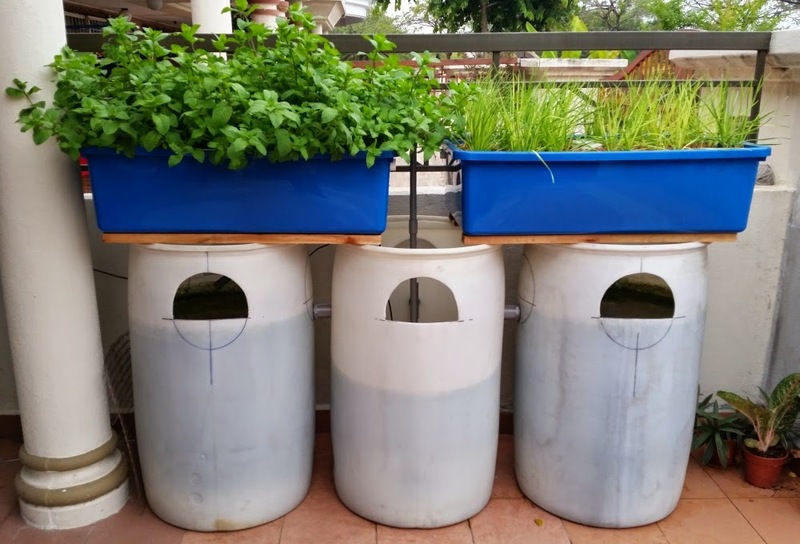 In aquaponics it takes time for bacteria to build up, nitrate to be produce and ammonia eliminated in the cycle. 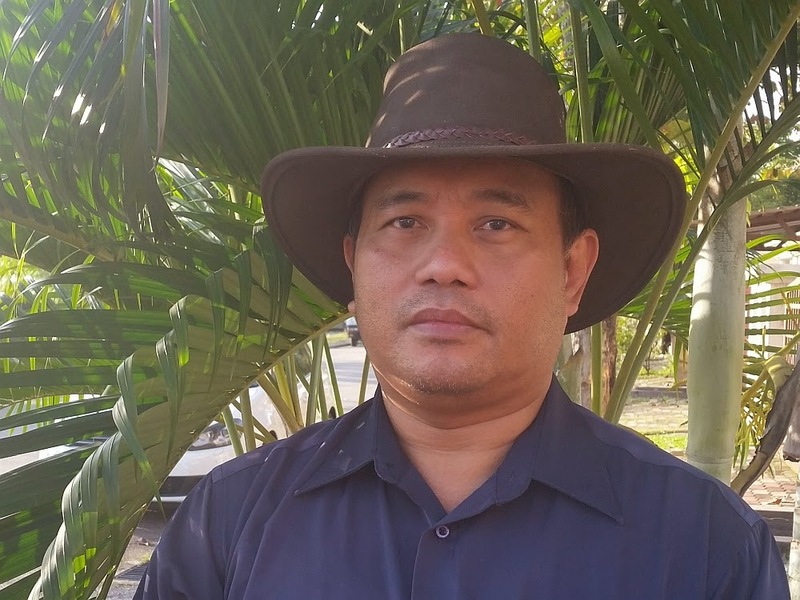 In short, it'll takes time for aquaponics to mature and it is not like hydroponics.